I'm giving you a break from stripes and gingham this week! It finally feels like spring; the flowers are slowly starting to bloom and I'm starting to incorporate brighter colors into my wardrobe. 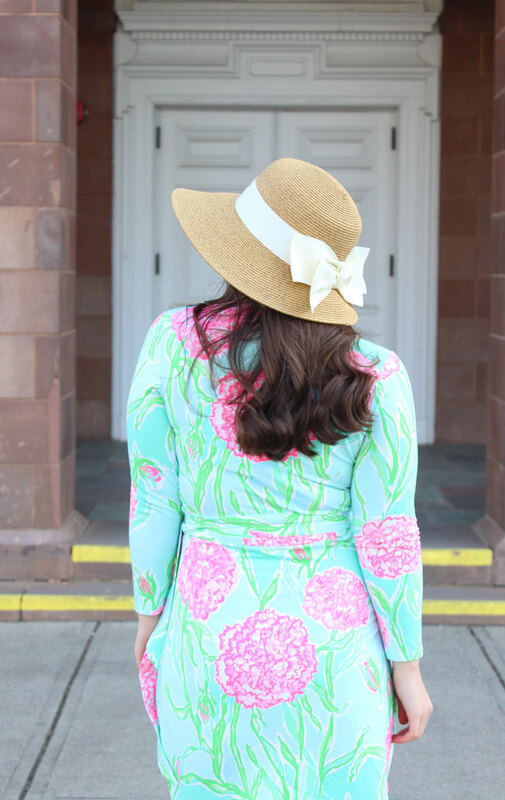 Naturally, with that comes the parade of Lilly dresses. I'm also a big fan of the wrap dress, so this one was a must-have for me. They are just one of those go-to dresses that I know look good on me and work for so many different occasions. 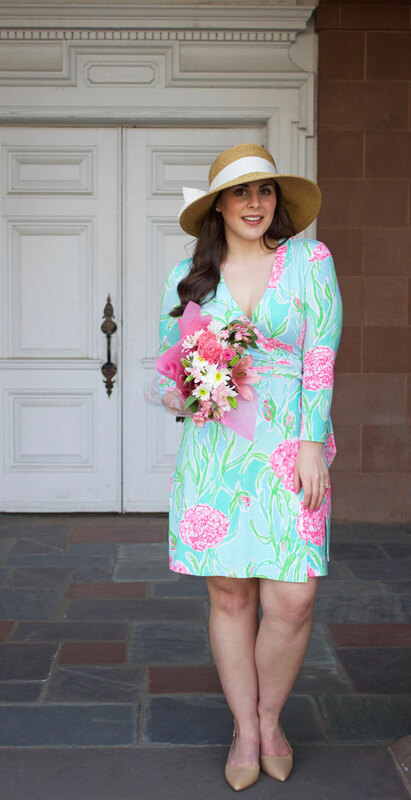 I'd love to hear which wrap dresses you love down in the comments! Be sure you are following me on social media to keep up with my adventures in the Litchfield Hills of Connecticut this week! There are links in my sidebar. See you back here soon! LOVE this look! Absolutely gorgeous :) The hat is a beautiful touch! Obsessing over that print! Gorgeous! so pretty! 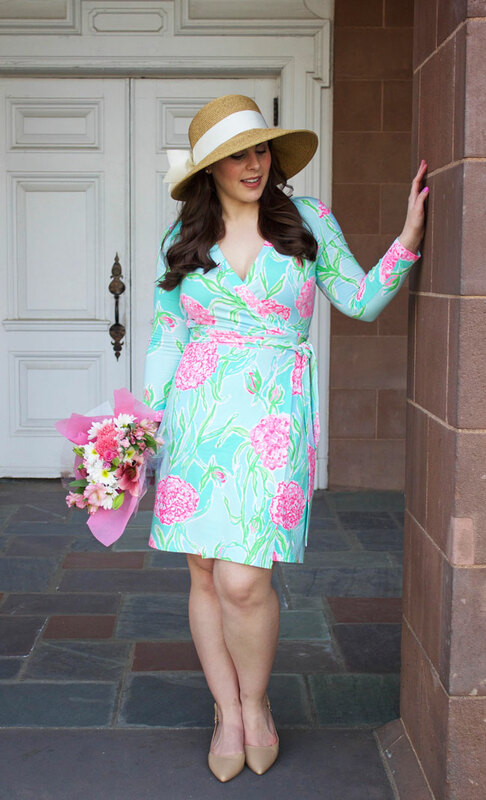 what a perfect spring dress. and i love a good wrap dress - always flattering! Beautiful dress! I love the colors and it looks perfect on you! How darling! I'm always a fan of Lilly but this dress is absolutely perfect!! 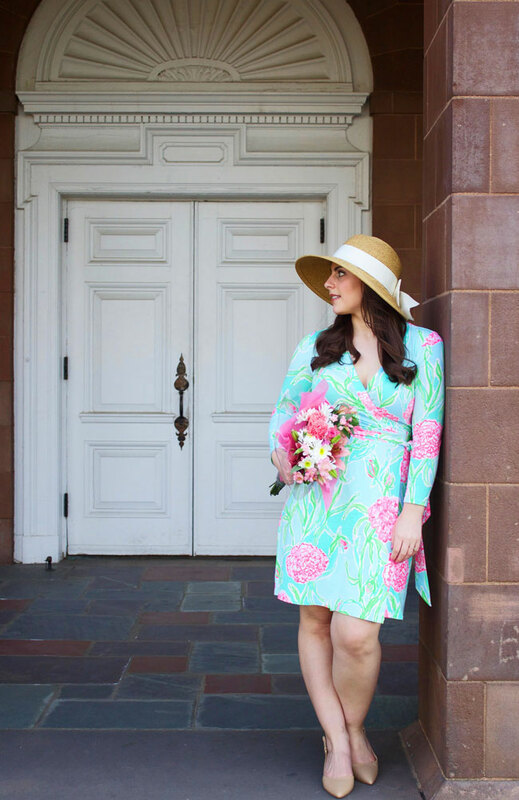 This dress looks gorgeous on you! So flattering and colorful! Aw Lauren you look ADORABLE! Thank you Ane! I hope you stop by again soon! Beautiful! I love wrap dresses as well and this one is beautiful on you. Love this look on you! 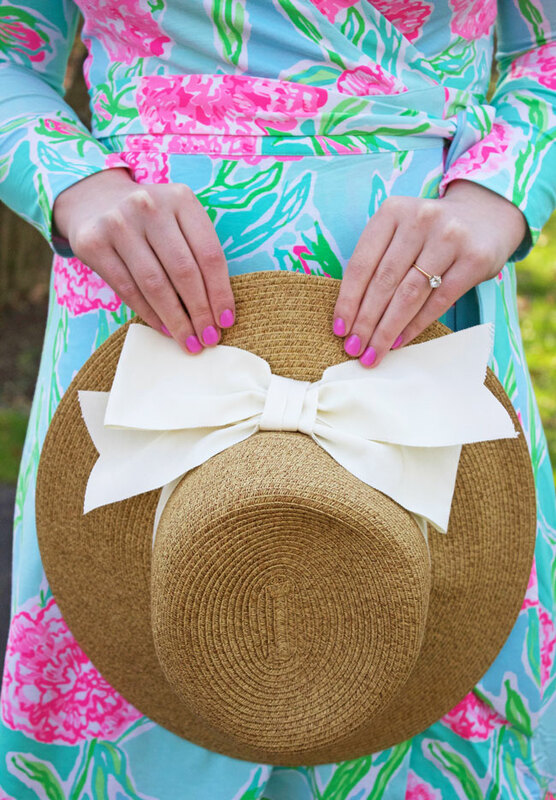 Your hat adds the perfect finish! Perfection! What a beautiful hat! Love it! So in love with this :) You look amazing in those colors AND that style! And I can't waittttt to pull that hat out again for this summer. I love this beautiful wrap dress! The colors combo and floral print looks amazing on you! And that hat is so cute and ladylike! 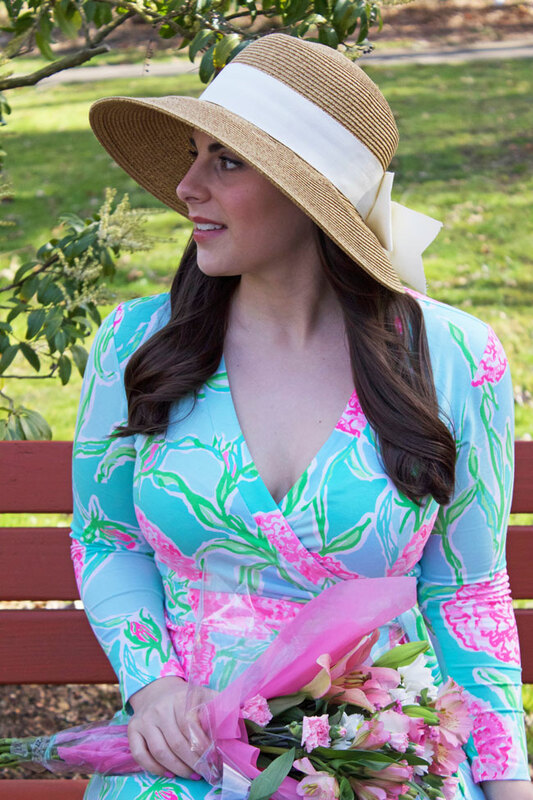 Lovely dress, and the hat is perfect with it. It is so nice to finally pull out the spring clothes, isn't it? I love wrap dresses! You look great in this one! Hello there,ciao Lauren...nice photos and Great style of Yours...Breathtaking look...cheers!